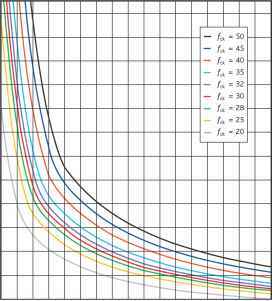 The design value of the punching shear force, Kd, will usually be the support reaction at the ultimate limit state. In principle the design for punching shear in Eurocode 2 and BS 8110 is similar. The main differences are as follows. ■ Standard factors for edge and corner columns that allow for moment transfer (B) are greater in Eurocode 2. However, B can be calculated directly from Expressions (6.38) to (6.46) of the Eurocode to give more efficient designs. 1 This graph assumes a simply supporteS flat slab (K = 1.2). 2 Compression reinforcement, r', has been taken as 0. ■ In Eurocode 2 the maximum value of shear at the column face is not limited to 5 MPa, and depends on the concrete strength used. ■ With Eurocode 2 the permissible shear resistance when using shear links is higher, although such designs may not be economic or desirable. As an alternative to using shear links, proprietary shear stud rails may be used. Eurocode 2 (Figure 6.22) allows them to be laid out in a radial or cruciform pattern and gives spacing requirements for both. 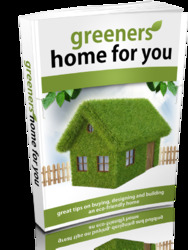 Other techniques are available for increasing punching shear resistance and these are covered in a best practice guide10. 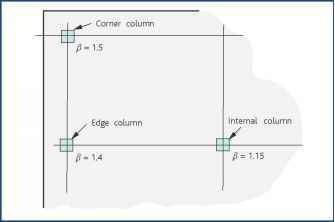 ■ The control perimeters for rectangular columns in Eurocode 2 have rounded corners. 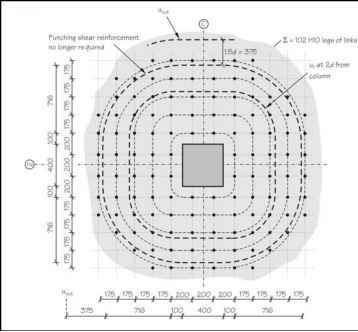 ■ Where shear reinforcement is required the procedure in Eurocode 2 is simpler; the point at which no shear reinforcement is required can be calculated directly and then used to determine the extent of the area over which shear reinforcement is required. ■ It is assumed that the reinforcement will be in a radial arrangement. However, the reinforcement can be laid on a grid provided the spacing rules are followed. The procedure for determining the punching shear requirements is shown in Figure 6. To determine stress in the reinforcement (as), calculate the ratio G^/Qk, read up the graph to the appropriate curve and read across to determine aSu. C is the factor for quasi-permanent value of a variable action. For further explanation refer to How to design concrete structures using Eurocode 2: Introduction to Eurocodes3. Determine layout of punching shear reinforcement (see 'Spacing of punching shear reinforcement' Section and Figure 9). How to check punching shear in concrete slab to eurocode? How to calculate punching shear using eurocode?